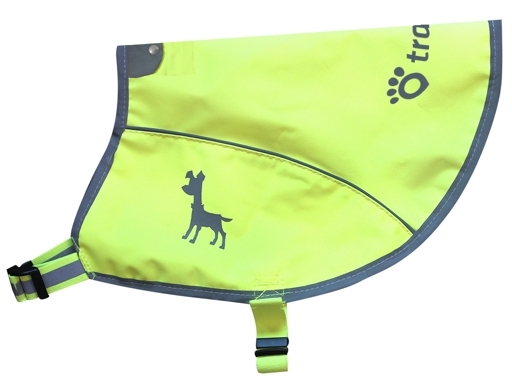 \u2460 Chest: 61 - 76 cm \/ 24 - 30\", \u2461 Waist: 61 - 81 cm \/ 24 - 32\", \u2462 Length: 46 cm \/ 18\"
The high-quality and stylish Tractive Visibility Vest and its neon color and reflective strips keep your pet safe in the twilight or in the dark. 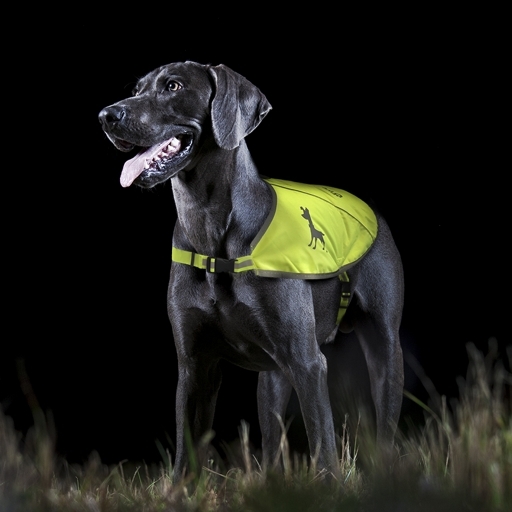 Thanks to the 2 click-closures the vest can be adjusted perfectly to the body of your pet and offers a high comfort when wearing it. 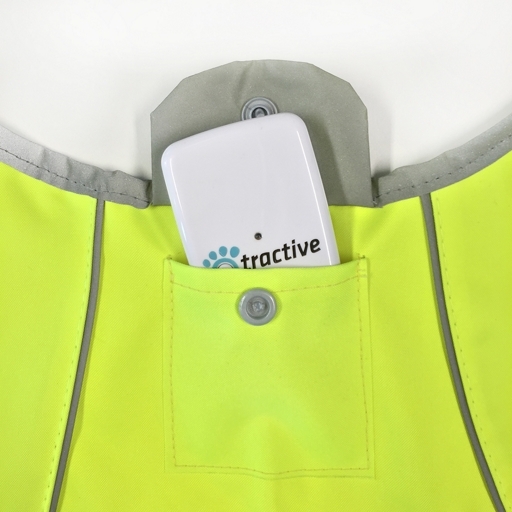 The Tracitve Visibility Vest has an included pocket for the Tractive GPS Tracking device. 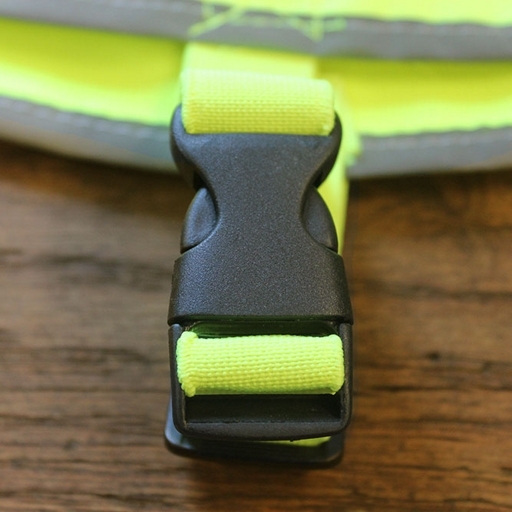 So you can easily and safely attach the device on the back of your beloved companion. 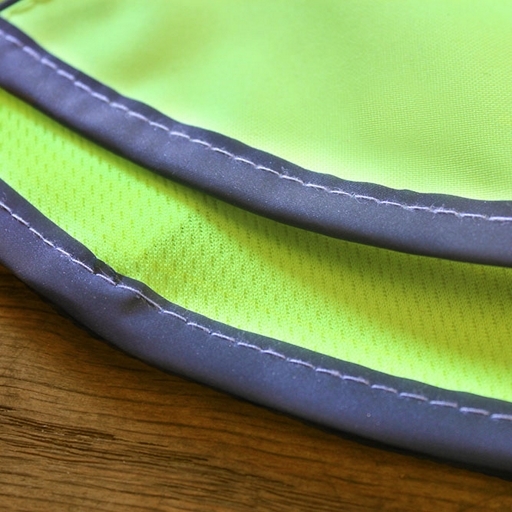 The Tractive Visibility Vest is available in 3 sizes and can be adjustetd to the following dimensions. 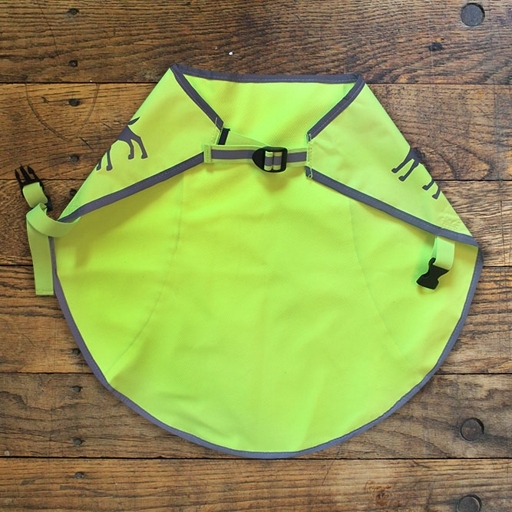 ① Chest: 33 - 43 cm / 13 - 17", ② Waist: 45 - 61 cm / 18 - 24", ③ Length: 27 cm / 10.5"
① Chest: 45 - 61 cm / 18 - 24", ② Waist: 61 - 71 cm / 24 - 28", ③ Length: 36 cm / 14"
① Chest: 61 - 76 cm / 24 - 30", ② Waist: 61 - 81 cm / 24 - 32", ③ Length: 46 cm / 18"
* Basert på levering til Norway. Skattesatser for andre land vil bli kalkulert i kassen. Pris eks. m.v.a. : NOK200.00.